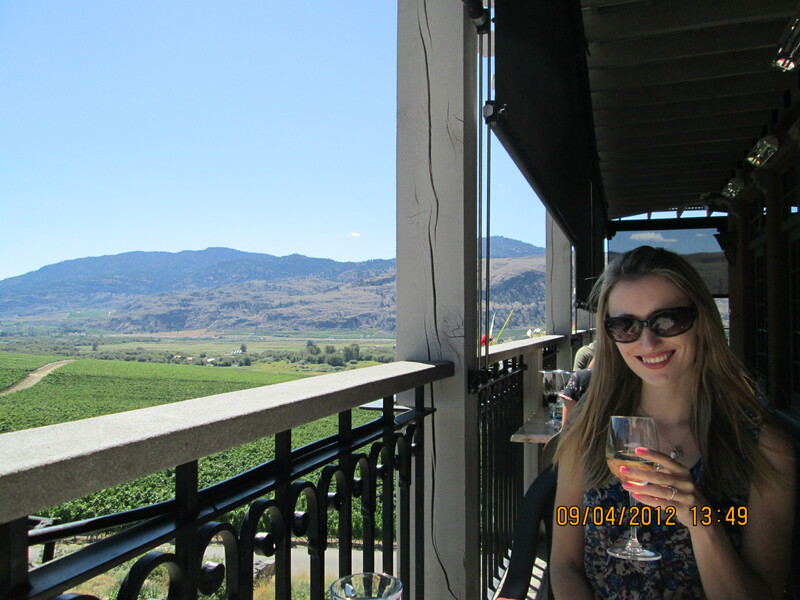 If you’re planning a trip to the Okanagan this summer, no doubt you will have considered adding wine tasting to your list of “must do” activities. However, a quick Google search of wineries in the area will probably leave you feeling a little overwhelmed given the abundance of options available (120+ at the last count). So to avoid the lottery of just driving around and seeing what happens, we spammed our knowledgeable wine loving friends for recommendations and came up with a 2 day wine tasting tour which allowed us to experience the whole of the Okanagan region while tasting some excellent wines in 9 very different wineries. 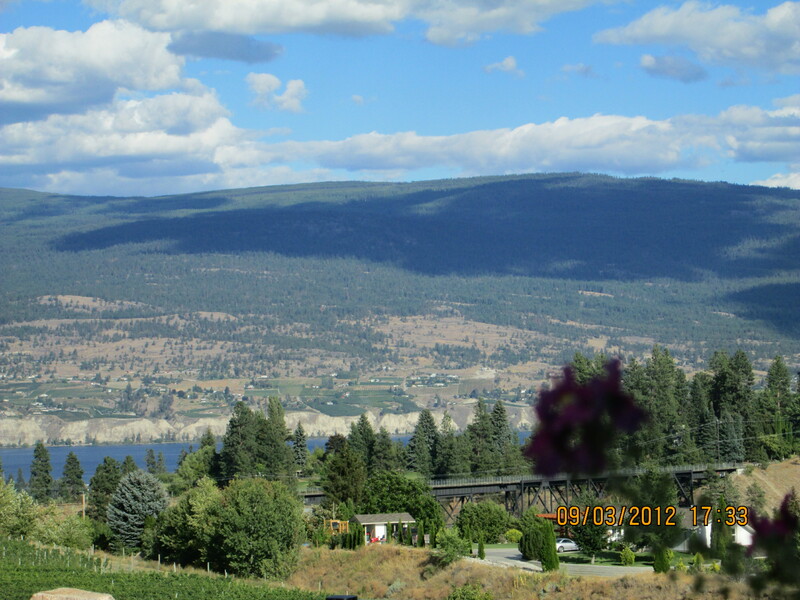 Tantalus – a favourite of a good friend, this winery produces an exceptional Riesling. 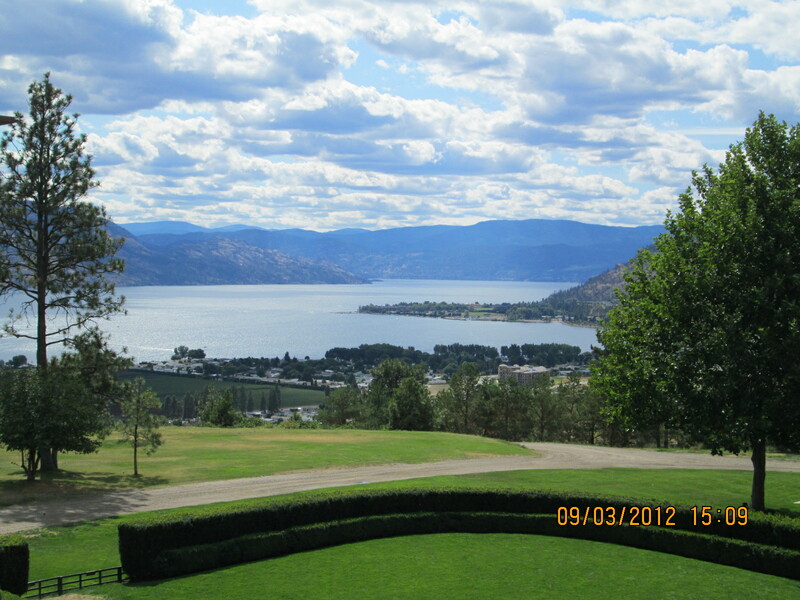 With a great hillside location and gorgeous views of the Okanagan Lake, this winery offered knowledgeable and likeable ommeliers such as Melvyn. There is also an opportunity outside to have your picture taken with the most photographed plastic owl in history! 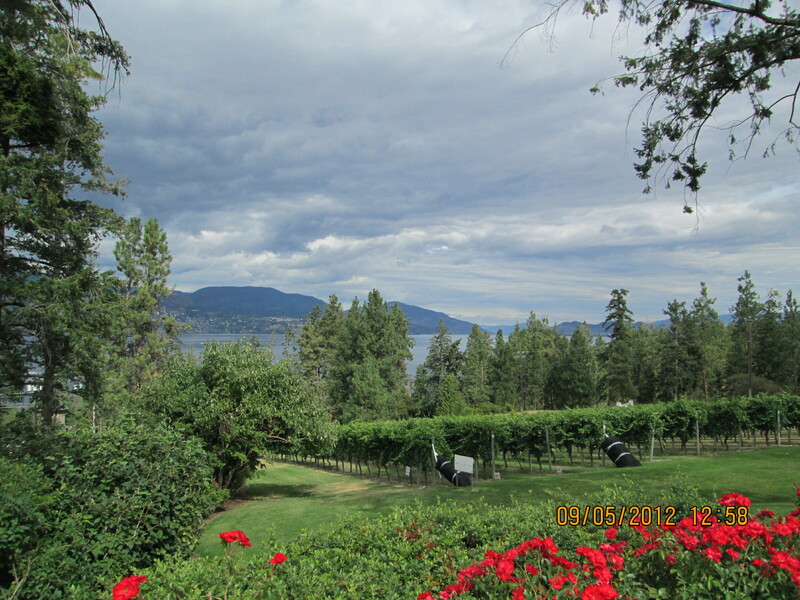 Cedar Creek – finding this popular winery involved a scenic 15 minute lakeside drive out of Kelowna to a beautiful Spanish style villa complex with well-maintained gardens. 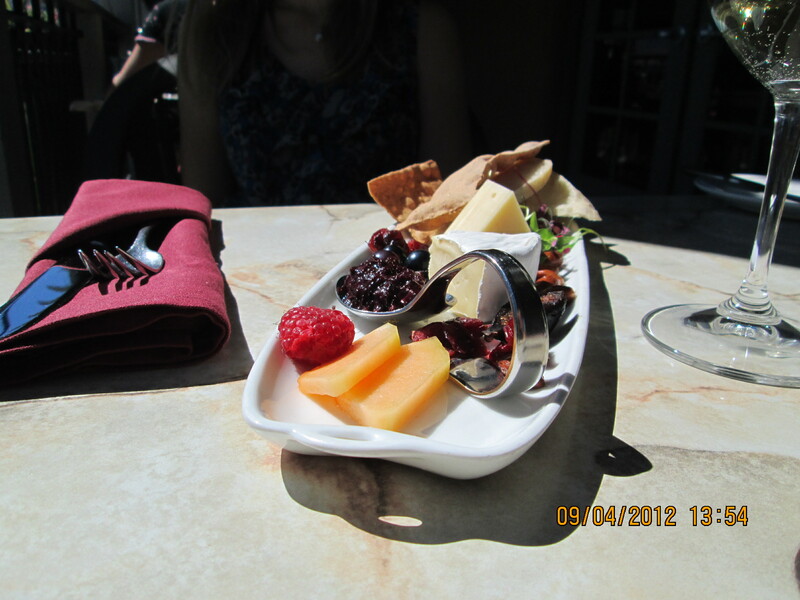 Our Sommelier Tara was very insightful and gave us a great lesson on red wine (we are amateurs on the red grape). The winery has a nice lunch patio and a well-stocked gift shop. We enjoyed the Pinot Noir, which we purchased for around $20 a bottle. 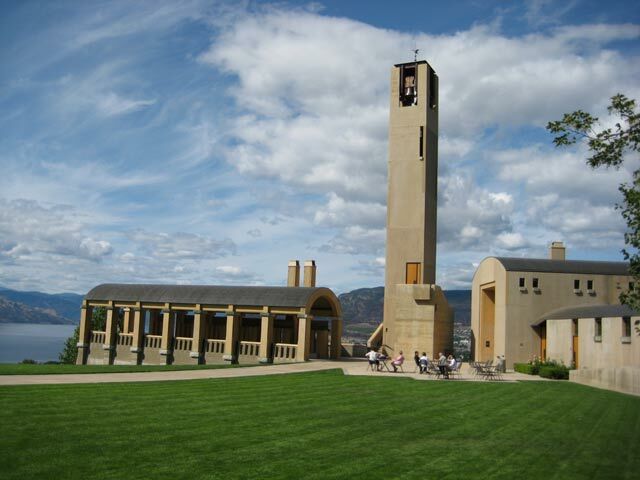 Mission Hill – This architecturally stunning winery sits on top of a hill overlooking the west bank of Kelowna, and has a great South facing view of the Okanagan Lake. The winery has an authentic old monastry feel with beautifully maintained grounds and offers some great photo opportunities. However, as one of the largest wineries in the area it is also one of busiest which can mean challenges finding a car parking space and it also attracts the stagette crowd which would wake any sleeping monk! Quails Gate – Next door to Mission Hill this is another super busy winery where we struggled to get a spot at bar, which was surrounded by thirsty tourists and hen parties. We eventually managed to get a place thanks to some strategically placed elbows, and after paying a $5 sampling fee each we thoroughly enjoyed the Pinot Gris (we purchased 2 bottles at $19 each and our sampling fee was waived). The winery has a lovely garden area where you can escape the wine tasting madness for a tranquil stroll downhill through the vines. 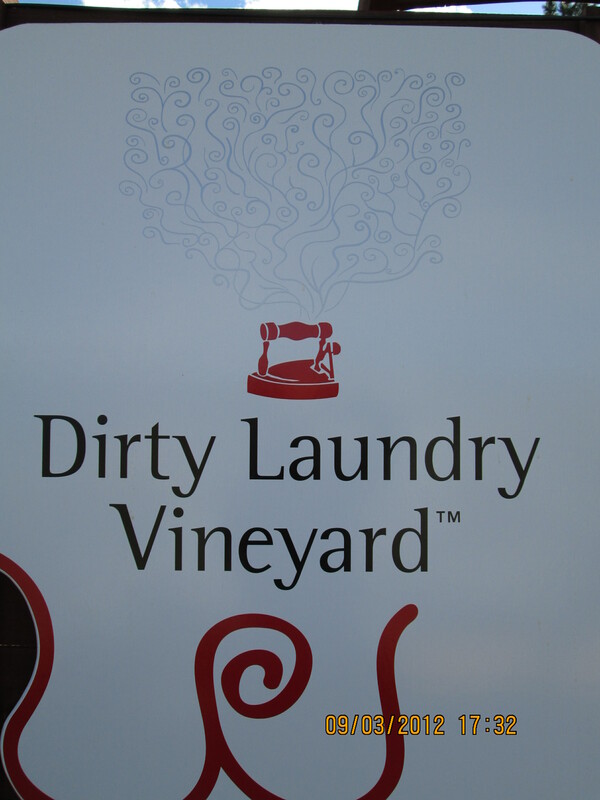 For those who enjoy a treasure hunt, we thoroughly recommend a visit to Dirty Laundry. From West Kelowna we headed south along Highway 97 through Summerland and down a big hill, before we turned right, then right again, then left, and then left again (we recommended you print out some instructions) and eventually found Dirty Laundry! The winery has a unique history behind its name, with the site originally being used as a Chinese laundry but during the gold rush it was converted into a brothel! The servers are fun and are committed to making you laugh. Tasting fee is by donation. The complex navigation is well worth it for the elevated views from patio of the valley and the lake below. You can snack on items purchased from the winery’s deli and if you are lucky enjoy music from a local live band in the sunshine! 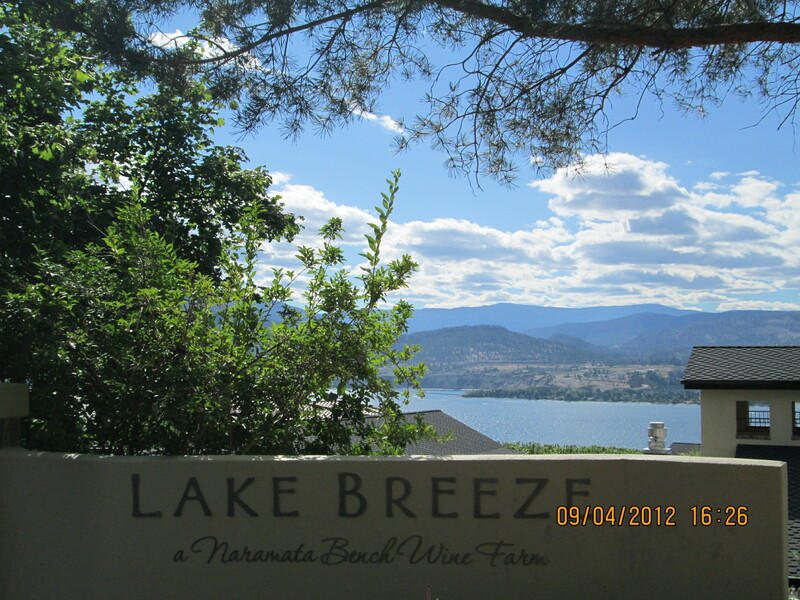 Lake Breeze – This is a beautiful winery that makes you feel like you are visiting a Mediterranean Villa in Southern France. It has a lovely sun catching courtyard where you can take a few moments to enjoy the rays on some conveniently placed benches. 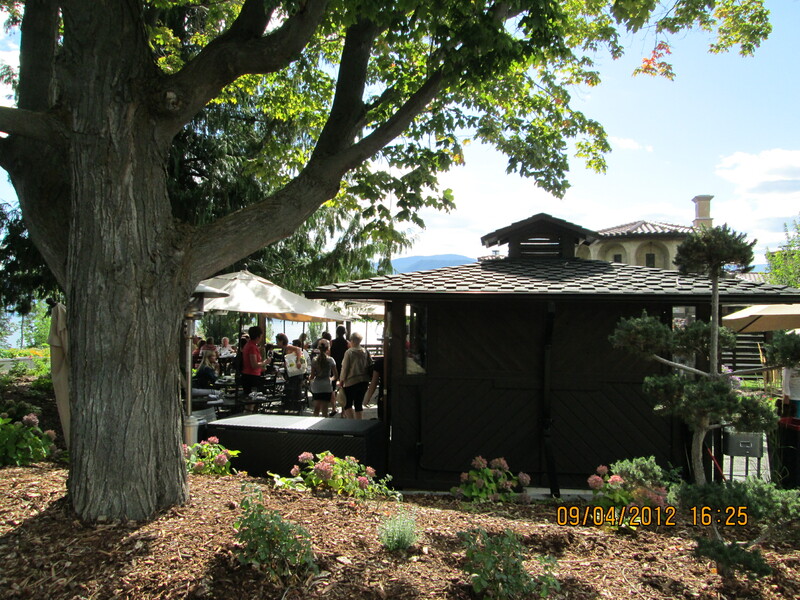 Lake Breeze has one of the best patios in the whole Okanagan with breathtaking views of the lake. The excellent food is served from 11am to 5.30pm.The wine server was really likeable, and she gave us an great run-down on all the different wines including some well-priced blends. Township 7 -This easy-to-find winery is open daily during the summer from 10:00 am to 6:00 pm. On our visit it was very busy but the narrow tasting room did help to create a buzz about the wines available to taste. The staff were super friendly and the Sauvignon Blanc was very good. Take Highway 97 South through Okanagan Falls to Oliver. 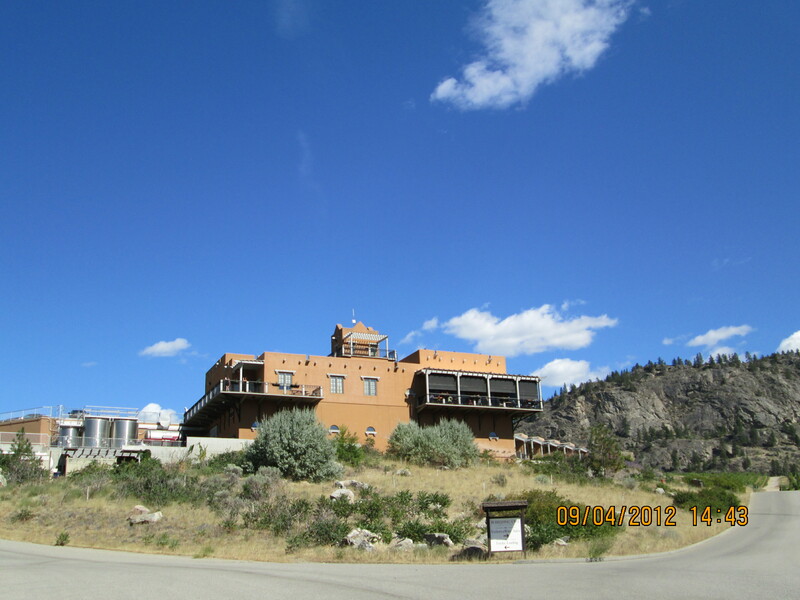 Drive through the town until you find Black Sage Road and head south. 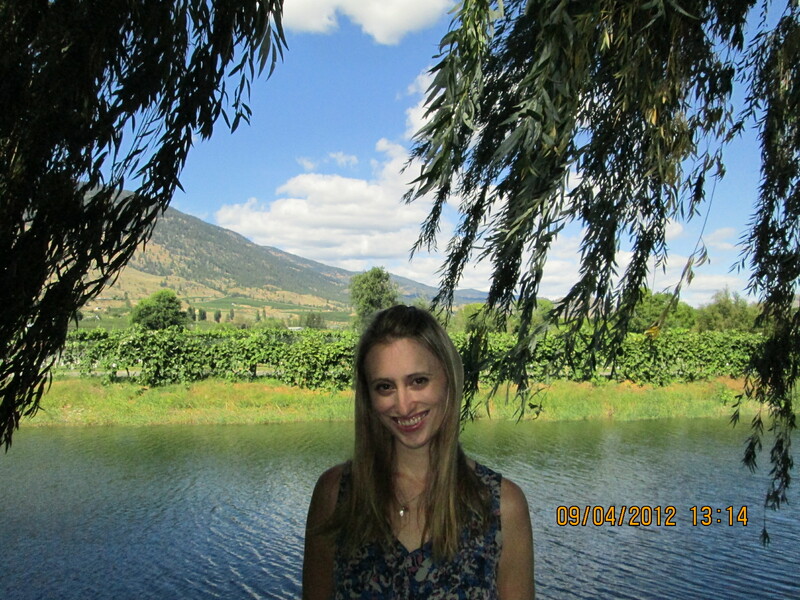 Silver Sage This winery is open from Monday to Sunday from 10:00am to 6:00pm and is beautifully situated on the banks of a river that flows from Vaseux Lake to Osoyoos Lake. The grounds have a nice rose garden to relax in. The winery has an extremely friendly German host who is always cracking jokes, and has complimentary cheese and pretzels to snack on! 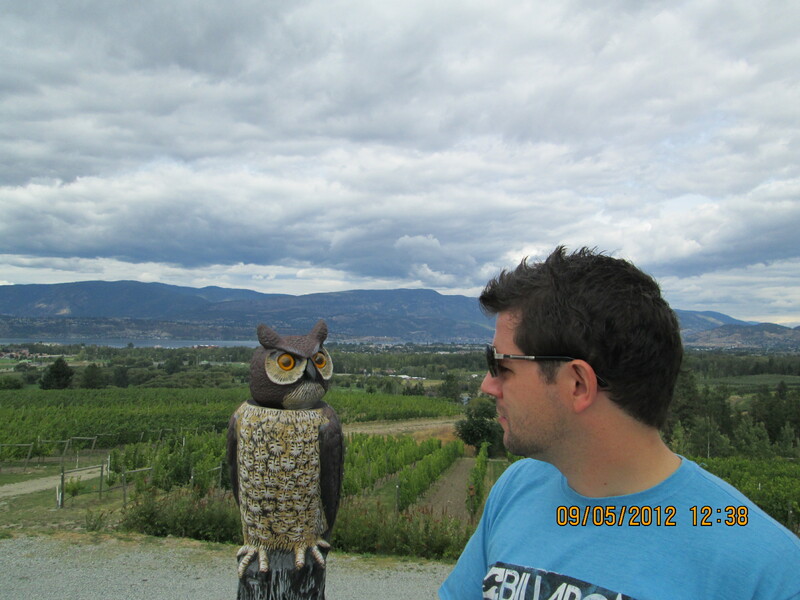 Burrowing Owl – We saved the best to last, with Burrowing Owl being our favourite winery in the whole of the Okanagan due to its stunning location, excellent wine and amazing food! Wine tasting is a minimum $3 donation but it’s well worth it to taste their Pinot Gris ($20 a bottle). We loved it so much we chose it as our white wine to be served at our wedding in Whistler! The winery has a stunning restaurant overlooking the vineyards and valley below. We recommend getting there early to bag a patio table (we got the last one at 12.10pm). The service was excellent from our self confessed “ski bum turned wine bum” host! From the lunch menu, we went for a super tasty Tofino Shrimp sandwich ($21) and the Artisan Cheese Selection ($5 per ounce) paired with our now favorite Pinot Gris. In addition, you can also stay at the winery’s Guest House which has its own sun deck, 25m pool, hot tub and fireside lounge. 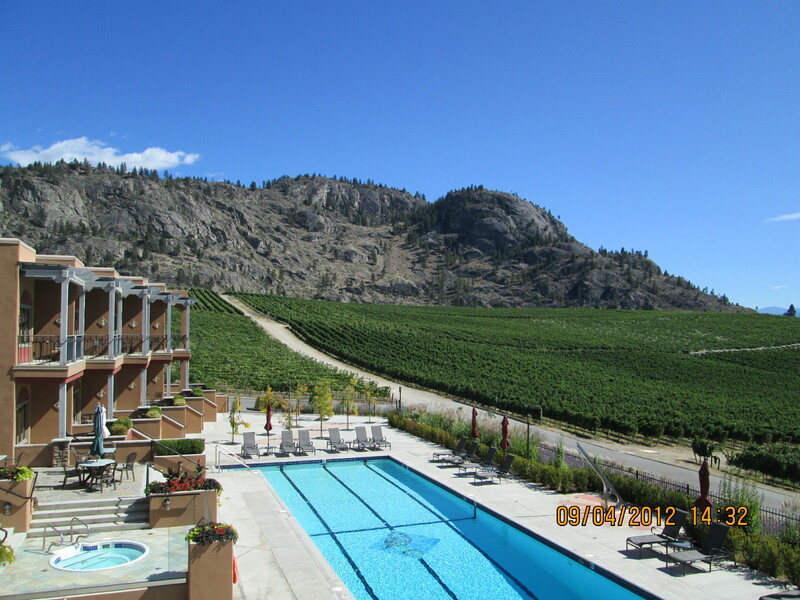 Wine tasting in the Okanagan is a fantastic summer activity, which will undoubtedly result in your returning home with few bottles of fabulous wine to show for all your “hard” work!